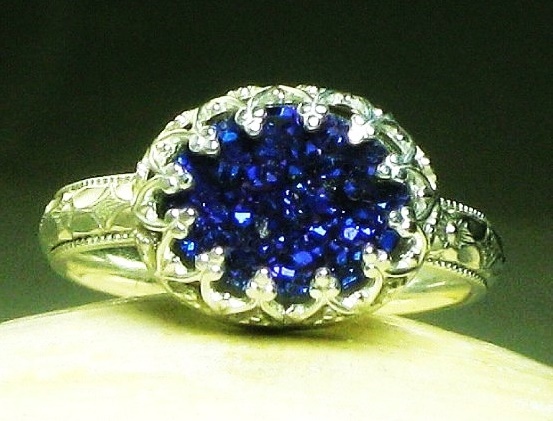 There are a lot of gemstone that is sell on the net nowadays. Gemstone is one of the most beautiful stuff that is have a unique characteristics and different look from other imitation decoration item. Time has passed since then, you can almost find a lot of imitation gemstone that will not easy to difference it between the real gemstone. Recently many druzy stone are being sold on the eBay. This stone is one of the most common that people will make the replica from it. Most of the fake gemstone are just slapped by paint, so it will make a bad and short-lasting color. Druzy stone is one of the glittering tiny little crystals that stay above the colorful minerals. This little gemstone have a lot of different color, mostly are white, yellow, brown, red, and orange. There are well known druzy, such as Dolomite and Malachite. Treated druzy, sometimes is coated with a layer of gold, platinum, silver or even titanium. When coated with titanium, druzy stone will have a various rainbow colors. Because its easy to dye, so many combination of shades that can be made. Druzy stone have a various size available. This type of gemstone sometimes have a very tiny pieces, and can be used as a beautiful display items. Because it has easily to get damaged, this little crystal must be treated well and cut carefully. To create a different and unique looks, druzy stone usually is cut in a different shapes and uneven cut. 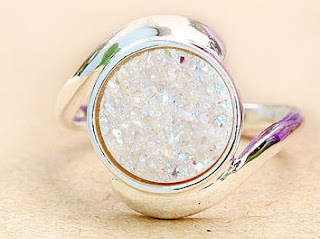 It is very easy to find druzy stone, because it doesn’t have a single place of origins only. You can find this little fracture at many minerals, rock or crystal formations. If you look for an expensive one, you must look for the one that is formed together with other pricey minerals.